Jim Rosten is the co-founding principal of Benedict Canyon Equities (BCE), which owns and operates $1.8 billion of multifamily assets. Founded in 2004, BCE continues to be a top performing syndicator of quality real estate operating over 9,000 units throughout the Western United States. Previously, Mr. Rosten was President of Kennedy Wilson Properties, Ltd. – KW’s national services platform, with approximately 70 million square feet of multi-family, office, industrial and retail property under contract for management, leasing, and development. 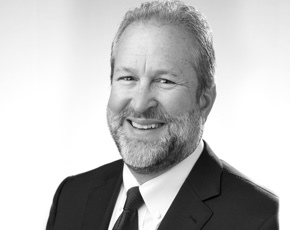 Prior to joining Kennedy Wilson in 1999, Mr. Rosten served as President of the Western Region of Grubb & Ellis Management Services, Inc., and was previously Executive Vice President and Western Division Manager for CBRE. Mr. Rosten received his MA in Management and MBA from the University of Redlands and his BBA from Central Michigan University. He holds Certified Property Manager (CPM) and Certified Commercial Investment Member (CCIM) designations, and he is a member of the Pension Real Estate Association (PREA), the Institute of Real Estate Management, the International Council of Shopping Centers (ICSC) and was a director of the Building Owners and Managers Association (BOMA). Mr. Rosten is a Board Member (and former Chairman) of the Imerman Angels Cancer Charity, in Los Angeles. He is a former member of the Board of Directors of the L.A. Area Council of the Boy Scouts of America and is currently a Director for U.S. Bank’s Los Angeles Advisory Board. Mr. Rosten is actively involved in several charities including the Navy Seal Foundation, LA Police Foundation, Chrysalis, and City of Hope. The co-founding principal of Benedict Canyon Equities.